For a fast database connection, it is necessary to set up extra network settings so that the clients can perform a fast Name Resolution of the server as well as the server to the clients. These steps for editing the hosts file are only required if there are problems or slowness when a computer is resolving names. DO NOT edit the hosts file unless there are problems resolving names on the network. 1. Setup the server and clients' IP with a static (fixed) IP address. 2. Go to C:\WINDOWS\system32\drivers\etc\ folder and open the hosts file using a plain text editor. 3. Go to the end of the file, on a new line add the static IP address and the machine name accordingly. If you are using a domain, you need to use the fully qualified domain name (FQDN). 4. Add the rest of the client's IP and hostname on a new line and click Save. 5. Once the list is complete, you can copy and paste the hosts file to all of the machines including the server under the C:\WINDOWS\system32\drivers\etc\ folder. For a Windows 2008 server, you need to perform some additional steps to complete the task. If you have a domain, you need to add a usabatch user on the global group where all the Harmony users are, this user should have administrator account rights. If an error due to the password policy occurs, you can change the password policies for both Domain Controller Security Policy and Domain Security Policy. You also need to do this from the Domain server if the Domain server is different from the Harmony database server. 1. From the WindowsStart menu, select Control Panel. 2. In Control Panel, double-click on Administrative Tools. 3. In Administrative Tools, select Group Policy Management. 5. In the hierarchy view of the Group Policy Management Editor window, go in Computer Configuration> Policies> Windows Settings> Security Settings> Account Policies> Password Policy. 6. In the right part of the Group Policy Management Editor window, double-click on Password must meet complexity requirements. 7. Select Define this policy setting and the Disabled radio button. Wait for the changes to take effect or restart the Server. It can take several minutes for the domain controller to update and use the new settings. Once this is done you will be able to create the user usabatch, this user should be inside of the Harmony user group. Inform your System Administrator before proceeding with these tasks. Inform your System Administrator before proceeding with this task. 1. Click the Start menu and select Settings > Control Panel. The Control Panel opens. ‣ Vista Users: Click the Start menu and select Control Panel. 2. Double-click the Security Center icon in the Control Panel window. 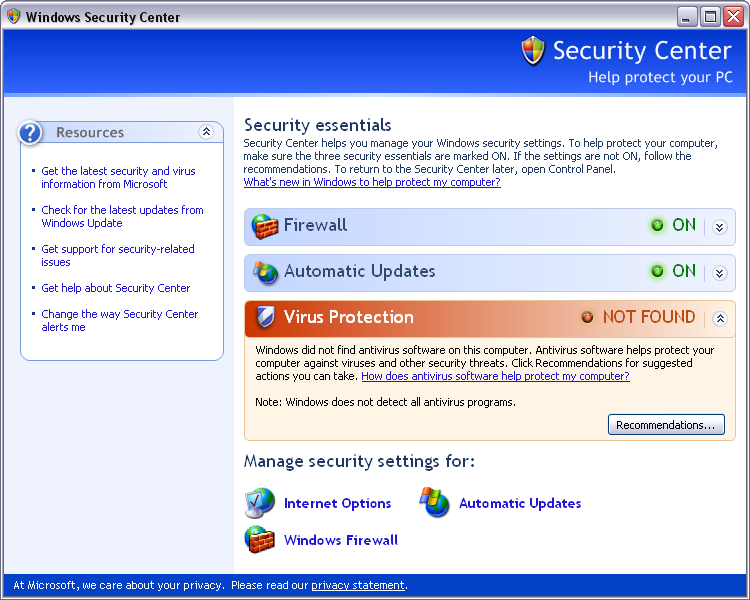 The Windows Security Center dialog box opens. ‣ Vista users must turn off Malware Protection. 3. If your anti-virus software is not detected, open all anti-virus software applications on your computer and disable each one manually. 1. Open the Windows Firewall dialog box. ‣ Click the Start menu, and select Control Panel to open the Control Panel. Double-click the Windows Firewall icon. 2. 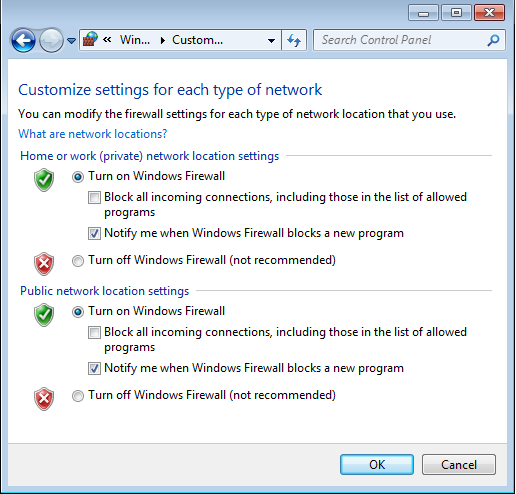 Select the Turn off Windows Firewall option for both private and public network locations to turn the firewall off. 3. Click OK to confirm your selection. 2. Select Organize > Folder and Search Options. 3. In the View tab, if the option Use Sharing Wizard (Recommended) is on, deselect it.